Monica Trieu received her master’s and Ph.D. from the University of California, Irvine in sociology, with an emphasis in Asian American studies. Her research focuses on the intersection of race, ethnicity, and immigration—with a particular emphasis on children of immigrants. Trieu is the author of Identity Construction among Chinese-Vietnamese Americans: Being, Becoming, and Belonging (LFB, 2009). 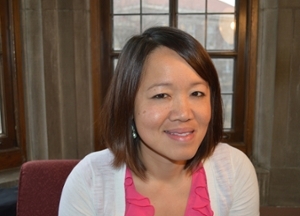 Her work has also appeared in Journal of Ethnic and Migration Studies, Journal of Asian American Studies, Sociological Inquiry and Journal of Family Issues. Her areas of specialization include: International Migration; Post-1960s Immigrants and Refugees; 1.5 and Second-Generation Identity; Transnational Ties; Historical and Contemporary Asian American Experiences; Race and Ethnicity.